Update 10.1 has hit our server a while ago, again bringing some new features to the game, although this time nothing as major as the previous updates (Hero equipment and equipment upgrading). Read on to learn more about the new update, including an upcoming new campaign map, Tactical Troops training, and high level Vala stones. This and more, below the fold. New items for enhancing gear has been introduced in the form of Mystic EXP Charms I, II and III. They are a bit weird, in that they are basically gear (with low stats and no attributes though), that can be sacrificed for enhancing gear, instead of using gear (per the description). They even show up normally in the Ring selection of Hero gear and you can even equip them! Anyways, just use them for enhancing gear, for which Charm I gives 1800 XP, Charm II gives 3000 XP, and Charm III gives 6000 XP, which are decent amounts. They’re won from chests and such, but don’t drop anywhere to be farmed yet as far as I know. Tactical Troops are gonna be trainable! Probably the most exciting new feature is the introduction of the TT becoming trainable. And I put it like that because, although all the TT show up in your barracks under the ‘special’ button, they are not actually trainable right now, but I guess it will not be long! Again, seriously Kabam, a feature announced but not implemented, this time a new form of the Stone of Vala: the Topaz Stone of Vala. 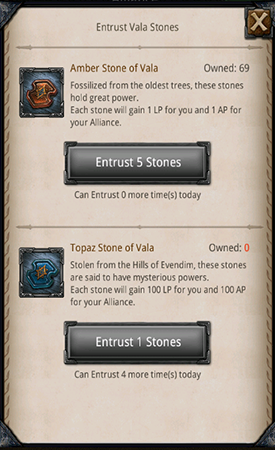 More rare than the normal Amber Stones of Vala, these stones give 100 LP and AP per entrust, but can only be entrusted a limited amount of times. My screen (see to the right) says 4 times per day now, where I can entrust roughly 95 times 5 Amber Stones. They will drop from the new Campaign map mentioned above. Some changes were made to events and the event center. First of all, the graphics of the event center have been updated, being slightly more aesthetic now. See picture below. Secondly, new events have been added (such as gear-upgrade-a-thons) and some scoring rules have been changed due to user feedback, at least according to Kabam. They also promised new events based on player level, but I haven’t seen these yet. Not sure why this is mentioned as a new feature, as this has been around for quite some time, but maybe there have been some changes I’m not aware of, and Kabam didn’t mention. 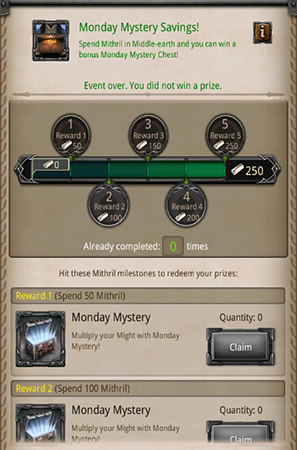 I did notice one of these events (Monday chest for 50 mithril spend, see picture above) appear in the event center, maybe that’s what’s new. Some bugs are fixed according to the release notes, but I have no clue what they are. And that’s all on the new update I guess. If I’ve missed anything I will add it here, and when the new features are ACTUALLY implemented, they will most likely get their own article. 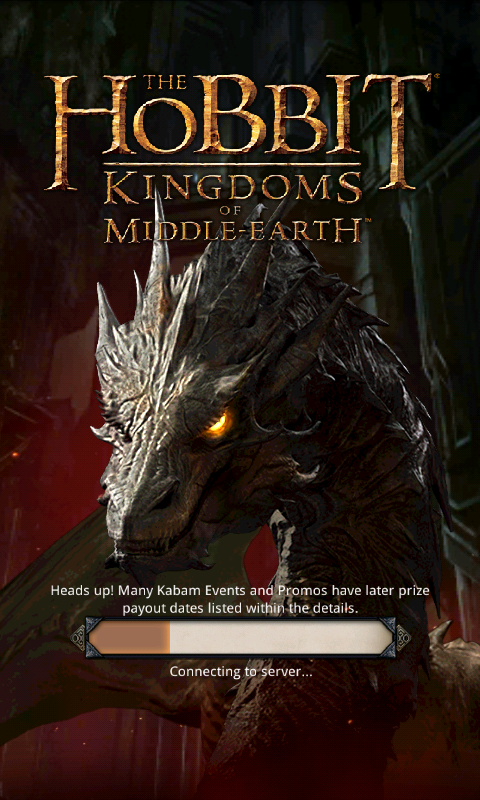 This entry was posted in Blog, General and tagged 10.1, amber stones, barracks, campaign, charm I, charm II, event center, events, exp, gear enhancing, graphics, hills of evendim, kabam, kingdoms of middle earth, KoM, mystic charm, new campaign map, sacrificing gear, stones of vala, Tactical Troops, topaz, topaz stone of vala, tournament, trainable, update by beardmonkey. Bookmark the permalink. Does anyone know when/if the update will be available for Kindle Fire? I got 5 Topaz Stone of Vala, but I cannot entrust them. When I look in my inventory, the pic representing them shows only the Hobbit: KoM logo. Is that a bug, or hasn’t it been implemented in the game yet? I think we will not see a new campaign. Topaz stones will only be available in the chests and unique chance. I won marks of triumph in the last event but I know absolutely nothing about them. What do they do? 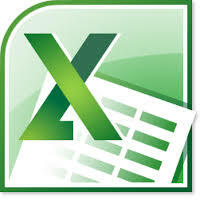 how do I use them? they are prizes in the current series of cross world tournaments. You cannot use them, KABAM only uses them to track who scored what points. The more marks, the better. At the end, the alliance with most overall average marks per player wins the server tournament, and possibly the world tournament.